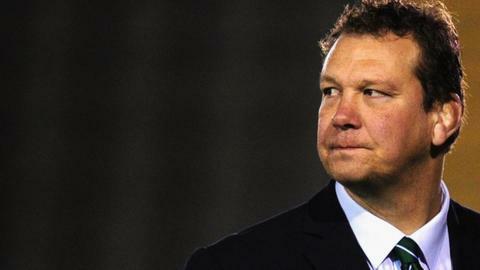 Nottingham Rugby head coach Martin Haag has signed a new two-year contract. The 46-year-old former England forward joined the Green & Whites in 2012 and guided them to their highest ever league position of second in the Championship the following year. Nottingham just missed out no a play-off place this term, finishing fifth. "Nottingham are a team going forward. I am pleased with the work off the field with the board and new investors," Haag told BBC Radio Nottingham. "A year-and-a-half ago perhaps I wouldn't have signed, but I feel we are much more stable. "We are still on a very limited budget compared to other teams so we know it will be tough. But I am really pleased with the squad. We have some exciting prospects coming in. "We're a work in progress coming off of a very good season and I'm excited to build on what we've started." You can hear Martin Haag's interview with BBC Radio Nottingham by clicking here.